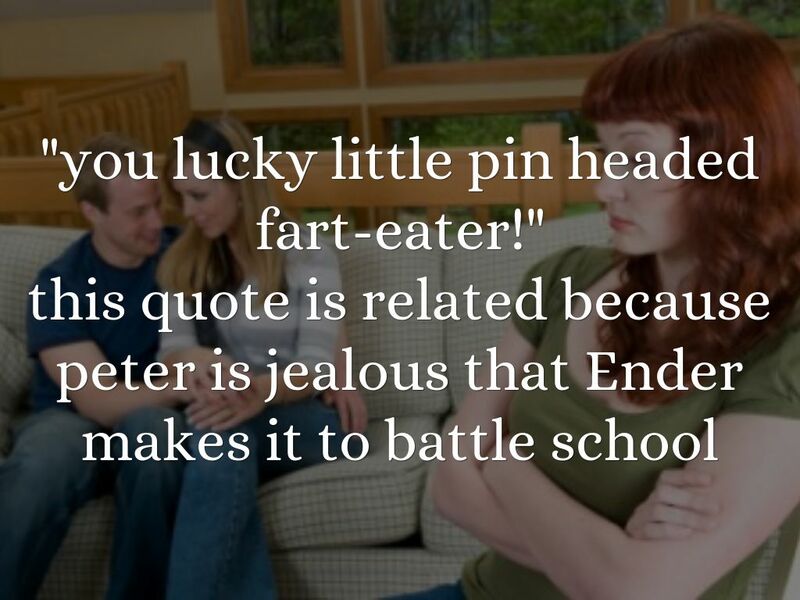 "you lucky little pin headed fart-eater!" 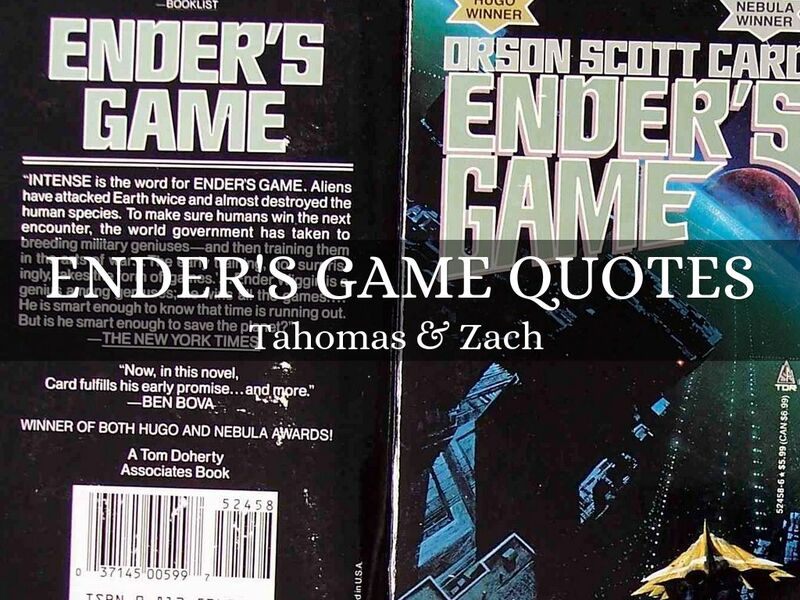 "Ender beat one of the older boys in-game." 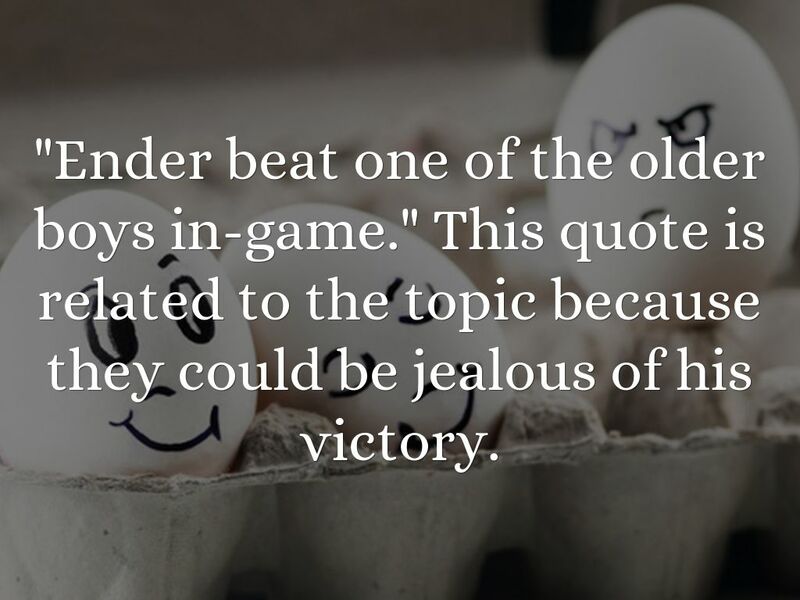 This quote is related to the topic because they could be jealous of his victory. "They couldn't beat him in the battle room, and knew it – so instead they would attack him where it was safe, where he was not a giant but just a little boy." 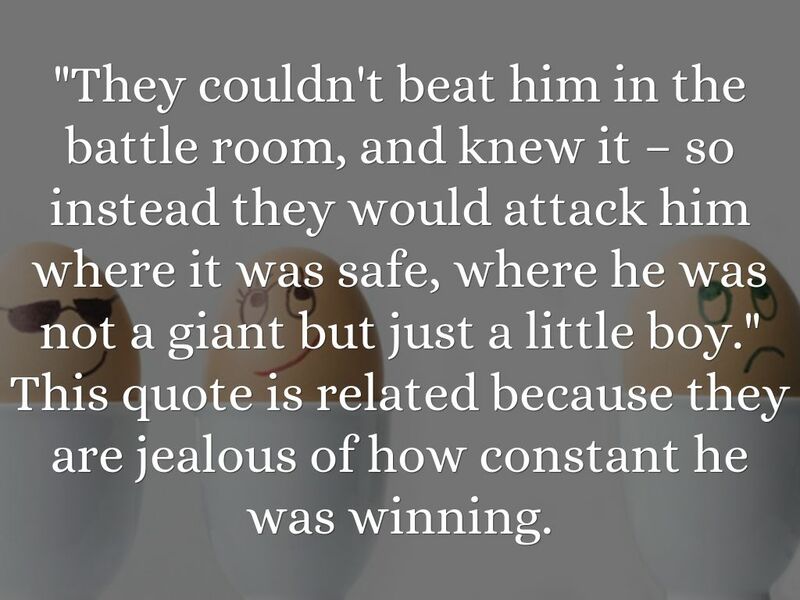 This quote is related because they are jealous of how constant he was winning. 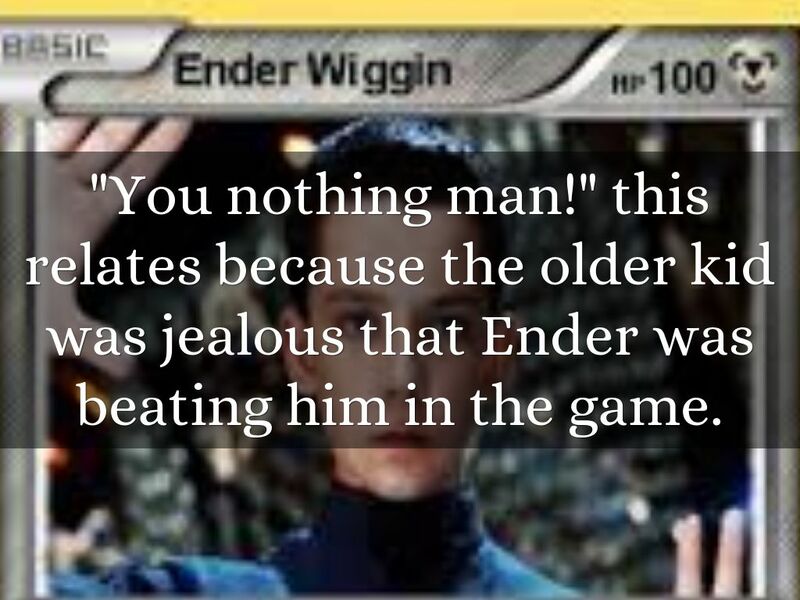 "Ender Wiggin isn't a killer. He just wins thoroughly." 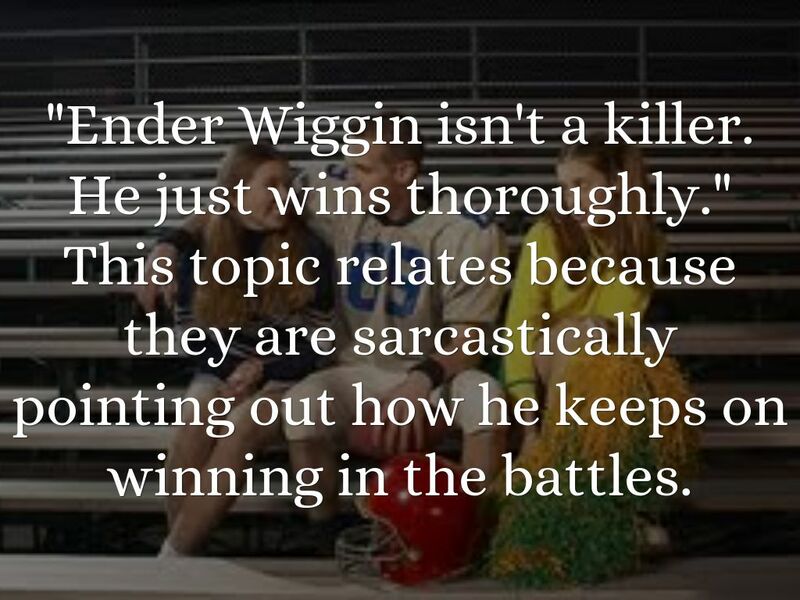 This topic relates because they are sarcastically pointing out how he keeps on winning in the battles. "You nothing man!" 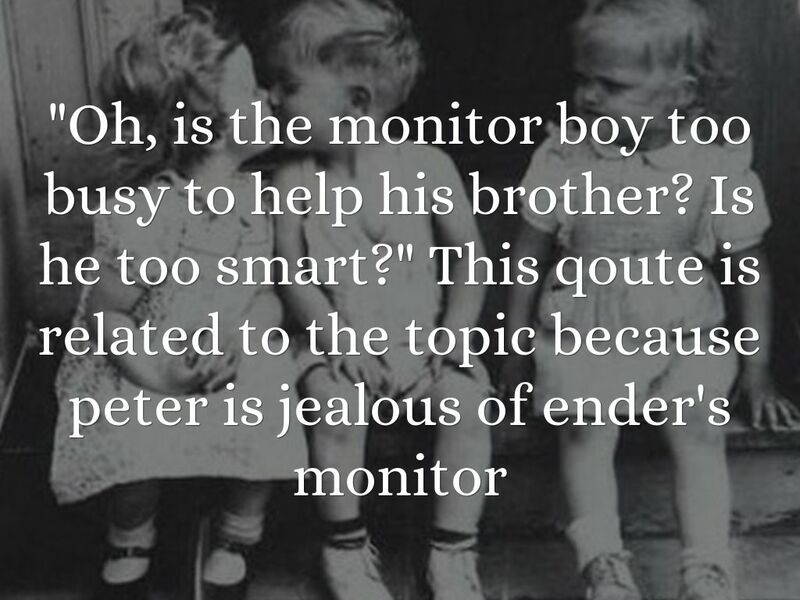 this relates because the older kid was jealous that Ender was beating him in the game. 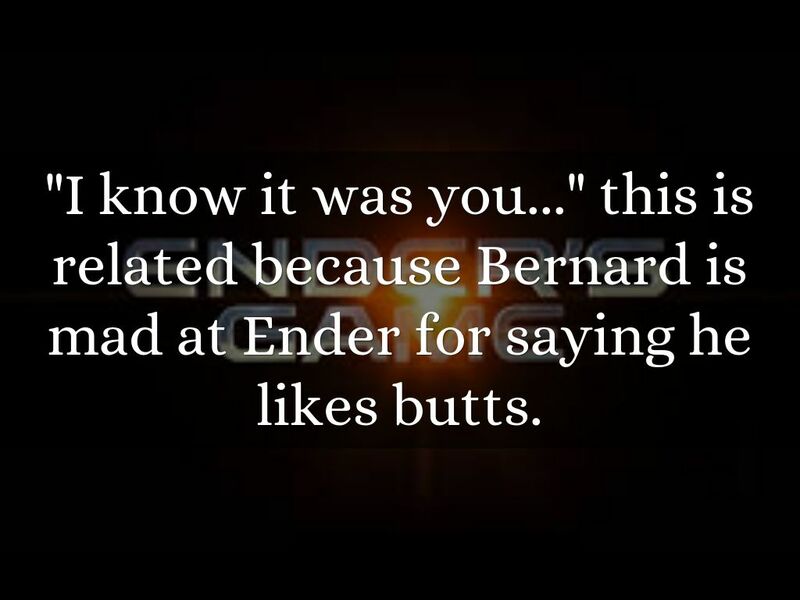 "I know it was you..." this is related because Bernard is mad at Ender for saying he likes butts. 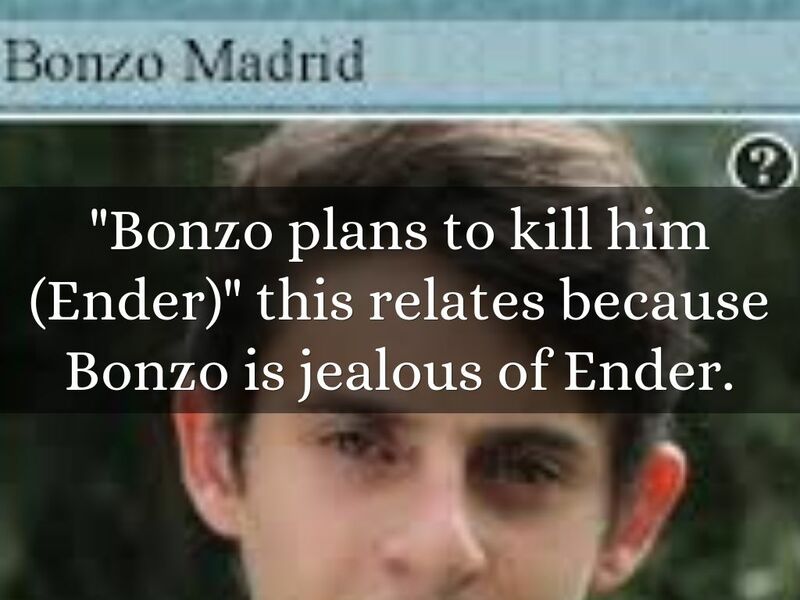 "Bonzo plans to kill him (Ender)" this relates because Bonzo is jealous of Ender. "shut your mouth, Wiggin." 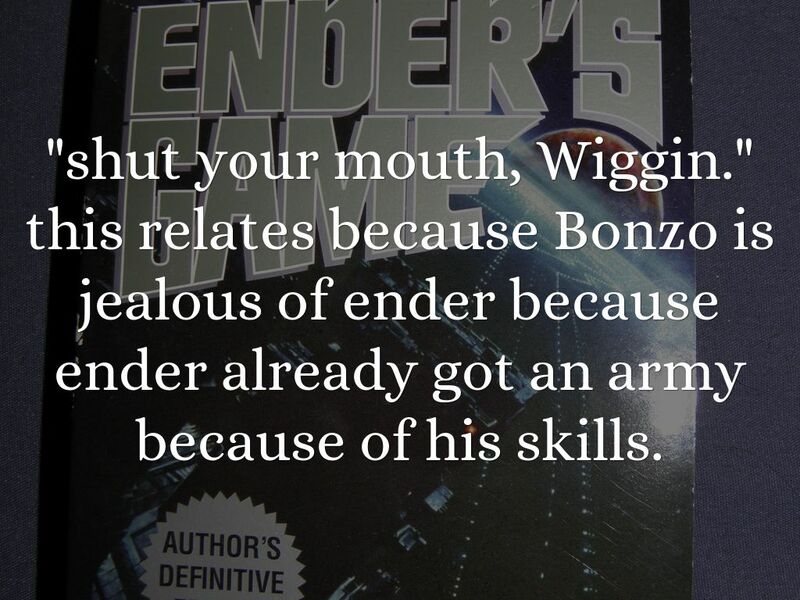 this relates because Bonzo is jealous of ender because ender already got an army because of his skills. "Peter you're not fooling me." 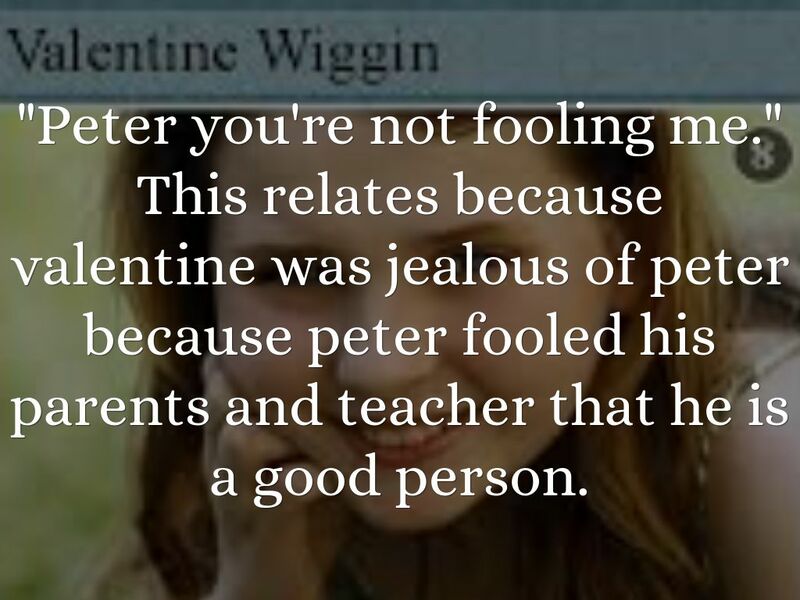 This relates because valentine was jealous of peter because peter fooled his parents and teacher that he is a good person.